The Saris Gran Fondo gives you an easier and more stylish way to transport your bike to the start of your ride. 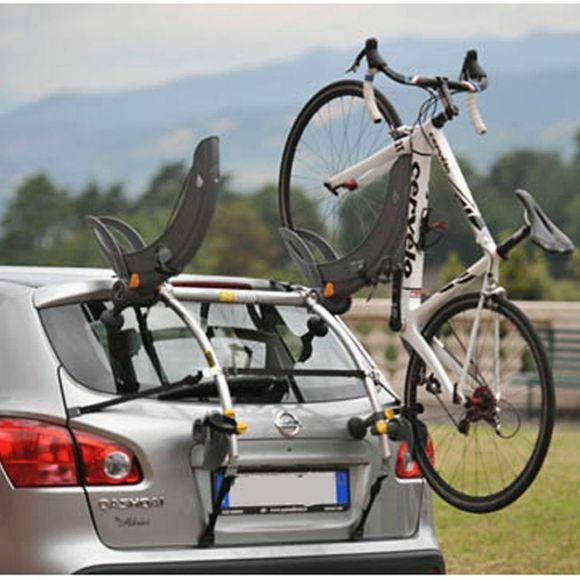 Designed to fit two bikes securely to the rear of your car, the Gran Fondo cradles your bike vertically between the tail lights and license plate, so it's compliant with European Union regulations. And, its aerodynamic design creates a paceline effect, resulting in greater fuel efficiency. Lightweight, rust-resistant frame, so you don't have to keep taking it off and putting it back on the car.